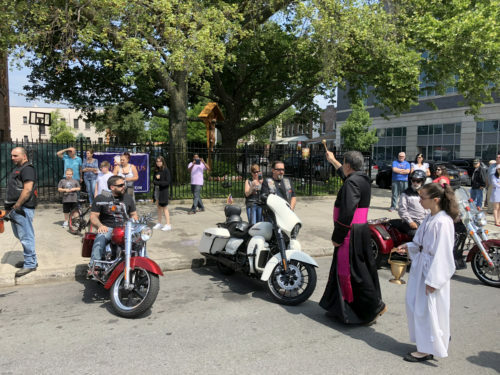 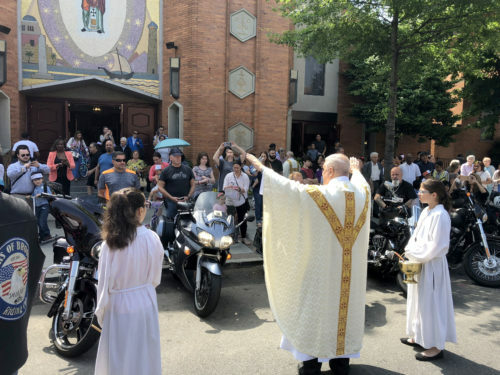 Riding season is in full swing and that can only mean one thing in Bensonhurst – the annual Blessing of the Bikes at St. Athanasius Church. 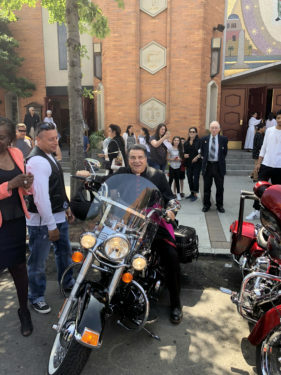 Bikes of all makes, models and sizes, and their riders, were blessed under the midday sun along Bay Parkway June 24. 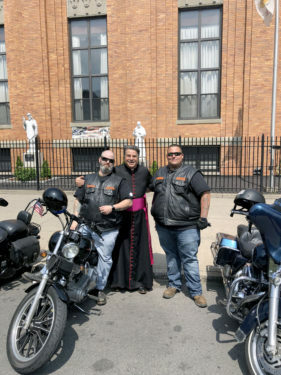 Young riders, with Msgr. 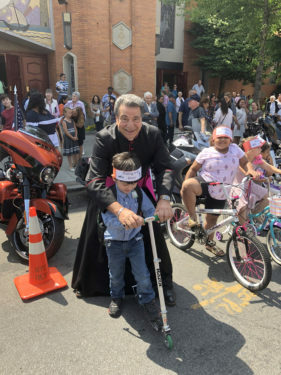 David Cassato, pastor, had their bicycles and scooters blessed and received “Riding with Jesus” headwraps.